This looks like a fun seasonal challenge to do. I'm use to doing yearly challenges, and seasonal challenges look to be good compliments to them. I very likely won't finish this completely. 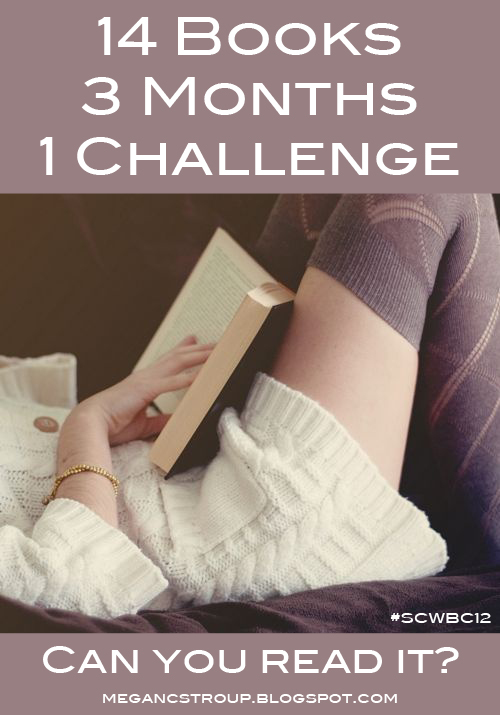 Since it runs till the end of January I'll give it a shot, but I didn't start at the beginning of November. I had already planned to reread Dead Witch Walking for the release of Ever After in January. I wanted to read Allison Hewitt is Trapped in December for the zombie challenge before it's over and also since it's on borrow from a friend. Red Rain I wanted to read soon also, same for high School Bites. I'd say I may finish at least five of this challenge. The challenge will run from November 1, 2012, to January 31, 2013. (I know this should technically be the Semi-Charmed Winter 2012-2013 Book Challenge, but that is just too long and doesn't make as nice of a hashtag.) No books that are started before 12 a.m. on November 1 or finished after 11:59 p.m. on January 31 will count.